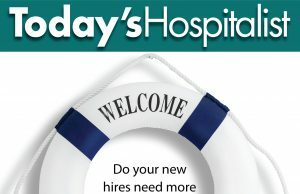 With the Today’s Hospitalist 2018 Compensation & Career Cross-Tab Report, which is offered as an Excel spreadsheet, you have the results of 50 questions from the 2018 Compensation & Career Survey offered in a cross-tab format, so you can break the results down by hundreds of variables to find the pay, workload and satisfaction data for others in your region, or compare your hours, patient load, experience, group size, shift type, employer type and much more. A 40-page Executive Summary of the survey results, offered as a PDF either separately or bundled with the Cross Tab Report, provides a comprehensive look at findings from the 2018 Today’s Hospitalist Compensation & Career Survey, including hospitalist pay, productivity and career satisfaction. An email with the report(s) you purchased will be sent to you within 24 hours of placing your order. Today’s Hospitalist’s “By the numbers” column features advice to help you accurately report the services you provide to avoid payment delays and audits. These articles from Today’s Hospitalist focus on billing and documenting patients seen in the ED and in palliative care services, navigating the differences between observation and inpatient status, and how to code for patients who switch settings. Explore the role that hospitalists play—and the challenges they face—in reducing inpatient opioid prescribing. We profile programs that have found success with an opioid tolerance leveling order set, an inpatient addiction team and a bedside calculator to predict patients’ opioid-overdose risk. Plus, read a first-hand account of what it is like to practice in a community overwhelmed by opioid-dependent patients. From a score to predicting patient risk to interventions to help resource-strapped patients stay out of the hospital, these Today’s Hospitalist articles look at interventions that have—or have not—successfully reduced readmissions. This collection of Today’s Hospitalist articles includes a primer on which drugs to hold or continue before and after surgery, a look at recent perioperative controversies, VTE prophylaxis overuse, and errors in communication and diagnosis that can derail perioperative medicine. These cartoon commentaries written by a hospitalist take a unique look at sources of frustration in hospital medicine, from burnout and observation status to interactions with other specialties. “If airports were like hospitals… ,” for instance, is a hilarious take on the constant (and ridiculous) analogies drawn between health care and aviation. Whether you’re actively looking for a job or just want information on the job market for hospitalists, this collection of articles has information you need. Articles focus on topics including the pros and cons of signing bonuses, making the most of site visits, negotiating compensation, finding flexible schedules, and avoiding traps in call coverage. This comprehensive look at hospitalist recruitment includes articles about compensation and career trends including never before published data from the Today’s Hospitalist Compensation and Career Survey. Plus, David Frenz, MD, MBA provides analysis of the cost of physician turnover. A compilation of strategies to improve your HCAHPS performance from Today’s Hospitalist Coding Section contributor David Frenz, MD. Tips for improving your HCAHPS scores were compiled for an evidence- based medicine class at the University of Minnesota, and range from installing whiteboards in patient rooms to techniques for improving patient communication. A four-part series from Today’s Hospitalist covering the transition to a very successfully operated unit-based care model with daily interdisciplinary rounds by Presbyterian Medical Group (PMG) at Presbyterian Hospital in Albuquerque, N.M. In the series, David Yu, MD, MBA covers four themes: getting started; political and financial hurdles; saving money and the transformative impact. This three-part series from Today’s Hospitalist examines obstacles to patient flow, including hospitalist group structure, cherished principles of hospital medicine and administrative roadblocks. The series author, David Yu, MD, MBA, draws on his experience improving patient flow at Presbyterian Medical Group (PMG) at Presbyterian Hospital in Albuquerque, N.M.